Work and Life is a radio program hosted by Stew Friedman, director of the Wharton Work/Life Integration Project, on Sirius XM’s Channel 111, Business Radio Powered by The Wharton School. Every Tuesday at 7:00 PM EST, Stew speaks with everyday people and the world’s leading experts about creating harmony among work, home, community and the private self (mind, body and spirit). On Work and Life, Stew Friedman spoke with Debra Schafer about what corporations can do to help their employees who need care for disabled dependents especially children with special needs or hidden differences. Stew Friedman: What inspired you get into this field? Debra Schafer: It began with my son. He developed some educational challenges. I was an HR (Human Resources) executive at the time and I found that I needed more flex options than those that were available in order to attend to my son’s needs. I had to make a choice. And no parent should have to make a choice between their professional career and their child. SF: Indeed, that’s what President Obama said last week at the White House Summit on Working Families – no parent should have to make that choice. So, what did you do? DS: I began reading federal and state special education law and then coaching parents in private practice. It was clear from HR background I saw a gap and a need in terms of what can be provided to employees who have children with hidden difficulties. And it’s often 12+ years between first diagnosis at age 2 and High School graduation. SF: So what are the issues facing parents at work? DS: There are chronic issues and crisis issues. Chronic issues are, for instance, regularly scheduled, perhaps three times per week, appointments. And crisis issues come up suddenly and you have to run. The challenge is to help organizations understand that their employees are raising the next generation of employees. And to help them to see, for example, that calls about the child will not stop and that parents should not have to choose bet being a good parent and good employee. SF: So what do you advise the employer to do? DS: Organizations and employers can help by normalizing these issues. For example, lactation rooms were not spoken of previously, but now we hear about them. Similarly, employers can start with a seminar or workshop with an expert such as a therapist. The employees who attend look around the room and realize they’re not alone. What I often see is that they reach out to fellow-workers saying, “I didn’t know you had a child who…” Support networks are formed. SF: What’s in it for the employer? Why should they being providing these supports? DS: Eight to 14% of the workforce is dealing with a child with special needs. Eleven percent of school age children are diagnosed ADHD, 19% of HS boys. These are chronic issues and employees need to be able to speak to your employer in ways that the employer can understand. Too many parents of children with hidden differences are leaving the workforce or turning down assignments. If the employer wants to recruit and retain talent and if they want their employees to be productive, then they’ll need to understand that their employees are dealing with chronic problems and also with crises that take their time and attention. SF: It is a distraction and a drain on productivity as I wrote a piece called The Hidden Business Cost of Mental Illness. So how can employees learn to talk about these hidden differences with their employers? How can we address the stigma? DS: Employee Resource Groups are useful. But most employees don’t join because don’t want to disclose. I always say, “If u have the crown, wear it with pride.” Having groups, seminars in the work place leads, as I said, to “I didn’t know you had a child with…” and then to naturally occurring support from co-workers. It normalizes these issues. DS: Yes, with education about the epidemiology – how many people are dealing with these difficulties – and statistics and stories. 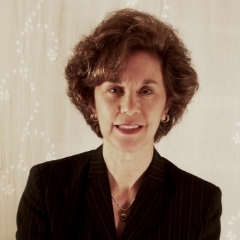 Debra Schafer is the Founder and CEO of Education Navigation which she started after more than 20 years of management experience in human resources, work/life integration, and marketing communications and 15 years of special education consulting, coaching, and advocacy experience. Learn more about what companies can do to recruit and retain their employees who are parents of children with hidden difficulties and how to ensure that they are productive at work at her web site www.Education-Navigation.com and follow Debra on Twitter @EdNavigation. Join Work and Life on Tuesday July 22 at 7 pm on Sirius XM Channel 111 for conversations with Herminia Ibarra and Sam Polk. Visit Work and Life for a full schedule of future guests.